Highly flexible coating for exterior doors, windows and cladding. Water-based. Touch dry in 1 hour. Sadolin Superdec Opaque is a highly flexible water-based coating for exterior wood. 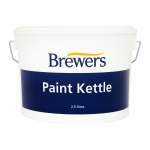 Ideal where a complete change of colour is required and helps to treat uneven, weathered surfaces. Contracts and expands with the wood, meaning this product resists cracking, flaking and peeling. Can be applied to new and previously stained or painted surfaces and is ideal for a complete change in colour or hiding timber blemishes. Recommended for doors, windows and cladding. Application is by brush with coverage up to 10sq/m per litre. Recoatable in 16 hours. 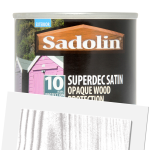 Sadolin Superdec Opaque Wood Protection Satin (Tinted) is available in 502 colours from the Sadolin Colour Cards. 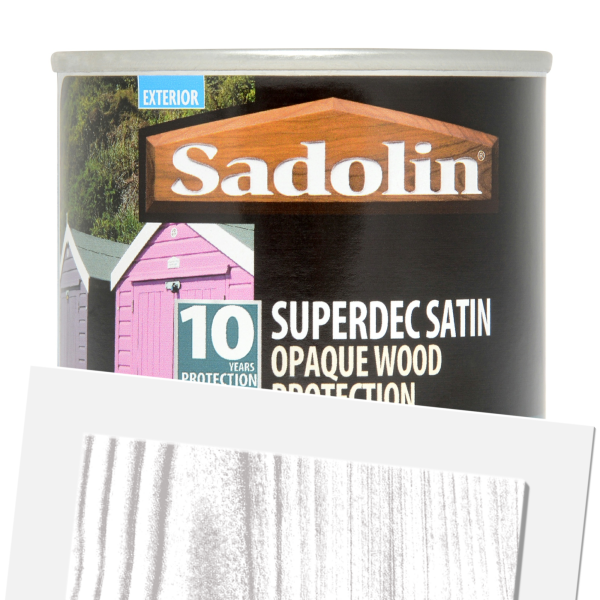 Sadolin Superdec Satin is the ultimate in opaque wood protection. It's unique, water borne formulation is self priming and undercoating, penetrating into the wood for optimum protection. Sadolin Superdec is extremely flexible, contracting and expanding with the wood, and therefore resisting cracking, peeling and flaking. 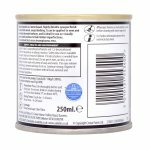 It can be applied to new and previously painted or stained surfaces and is ideal for hiding timber blemishes, or when a complete change of colour is required. We recommend a trial application before you start. The final colour and coverage will depend on the original colour and condition of the wood and the number of coats applied. Crown Paints is not liable for costs caused as a result of an incorrect colour being applied or failure to follow the manufacturer's directions. 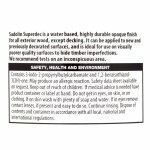 Low Grade or Resinous Timber: Treatment of resinous knots is recommended prior to application of Sadolin Superdec by drilling out and filling or the application of an appropriate blocking primer. New or Bare Wood: Timber exposed for 4 weeks or more will require sanding to a clean, sound surface. If the wood is oily thoroughly degrease the timber surface with a suitable solvent eg. Methylated spirits. If required, treat with Sadolin Quick Dry Wood Preserver. Fill small holes with Sadolin Woodfiller. Sand in the direction of the grain to a smooth surface. Previously Painted or Woodstained Surfaces: Ensure surfaces to be treated are clean, dry and free from dust, grease, wax, resin and other timber extractives. Remove any loose or flaking coating using a scraper and/or abrasive paper. 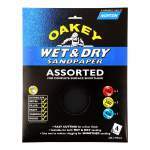 Remove any grey, denatured timber, and sand the sound coating with abrasive paper to provide an adequate key. Do not use wire wool. Ensure existing sound coated areas are cleaned with a mild detergent, warm water and rinsed off with clean water. Allow to dry. Strip surfaces in poor condition bare and treat as new. As with all coatings preparation is key and poor preparation will result in poor coating performance. Always intermix packs to ensure colour consistency. Ensure surfaces to be coated are clean and dry. Stir well before and during application. Do not apply in damp conditions, when rain is imminent, or at temperatures below 80°C or above 25C. 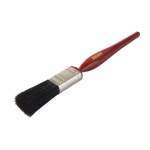 For best results use a good quality synthetic bristle brush. Avoid over brushing as this will result in brush marks. Sand lightly between coats if there is any raised grain. New work requires a three coat application. Maintenance may require two or three coats depending on the amount of weathering that has occurred.